Business hours: 6.30am to 10pm, daily. Renaissance KL restaurant brings in guest chef from Middle East to tempt diners. 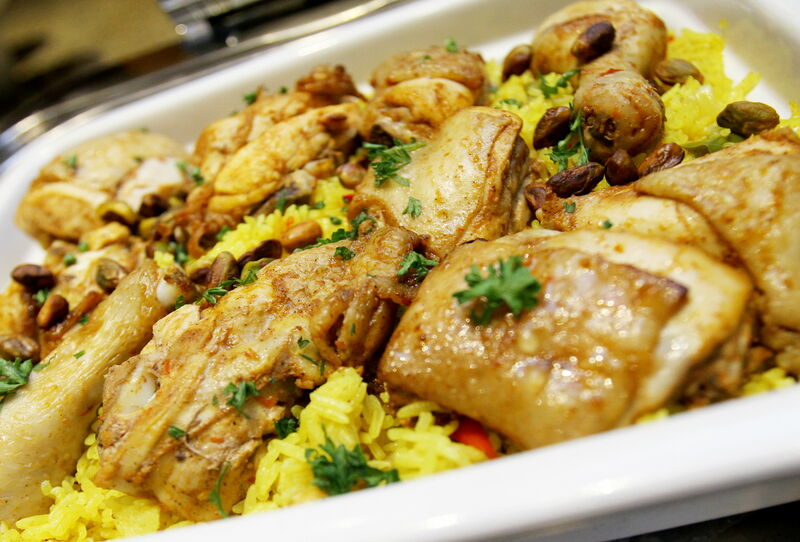 INDULGE yourself with delicacies from the Middle East at Vogue Cafe, Renaissance Kuala Lumpur Hotel. Guest chef Youssef Issa has brought with him some authentic Arabian flavours all the way from Dubai and patrons can enjoy his selection of dishes until Aug 29. Youssef, who uses traditional recipes and original ingredients, said patrons were guaranteed to taste the best of Arabian cuisine. 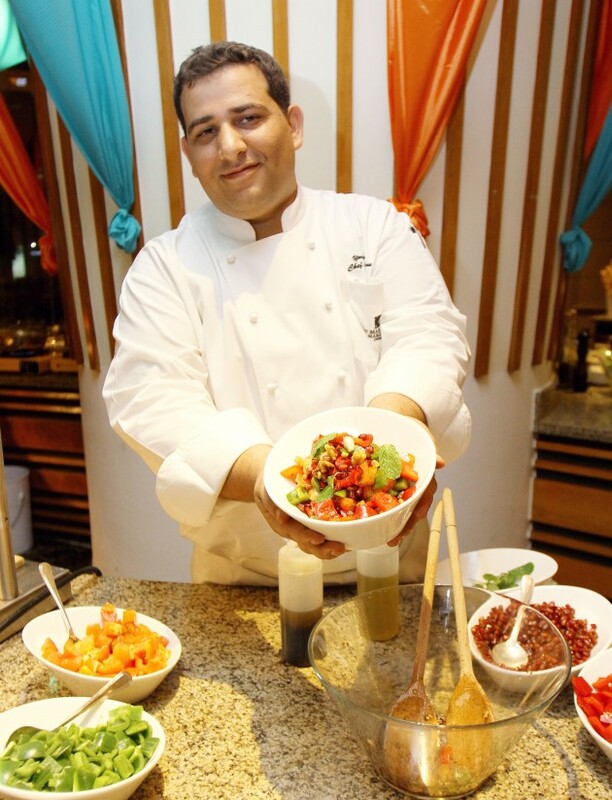 Chef Youssef Issa with the Pomegranate Walnut Salad. Patrons will also be spoilt for choice as there is a wide spread of cold mezze — dishes served as appetisers that range from dips to salad. At Vogue Cafe, patrons can expect to get a taste of flavoursome salads such as taboulleh (a fusion of parsley, tomato, onion, bulgur wheat, lemon juice and olive oil), fattoush (crisp romaine lettuce, cucumber, tomato, radish, fresh mint mixed with pomegranate sauce) and baba ghanoush (roasted eggplant, tomato, parsley, lemon juice and olive oil). 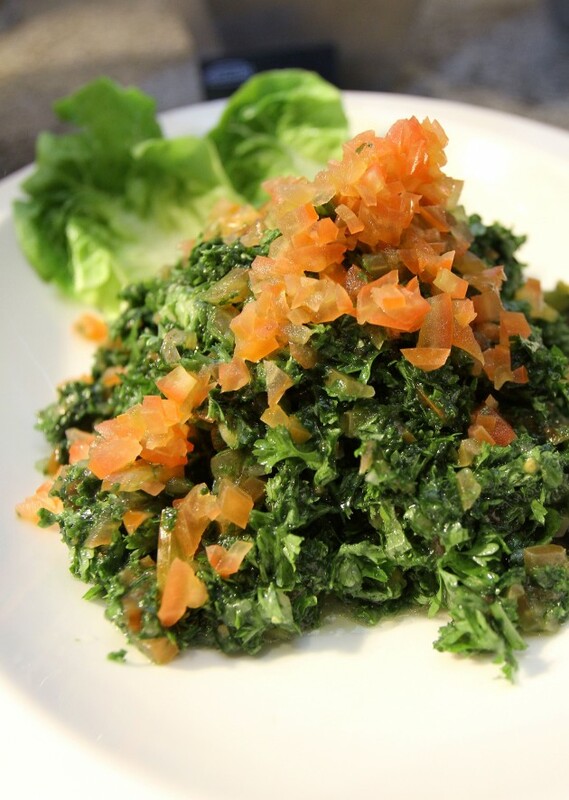 Tabouleh is a famous Middle East salad and tasted a bit sour, perhaps from the tomato and lemon juice. 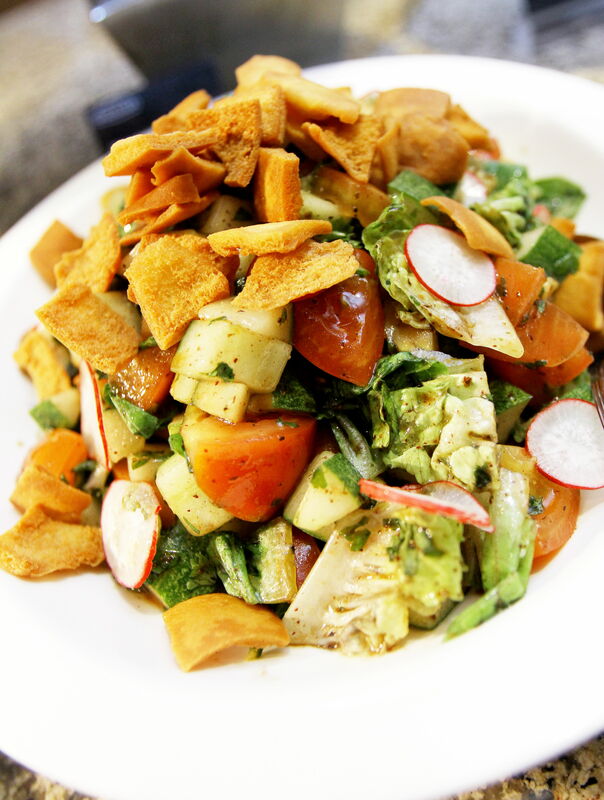 Fattoush is a part of the mezze available at the buffet spread. Apart from the salad, patrons can dip pita bread with signature spreads from the Middle East such as hummus (chickpeas, tahina, fresh lemon juice and olive oil) andmuhammara (bread crumb, walnuts, tahini and pomegranates molasses). A small portion of rice is also available among the mezze, such as the Stuffed Vine Leaves and Mujaddara. 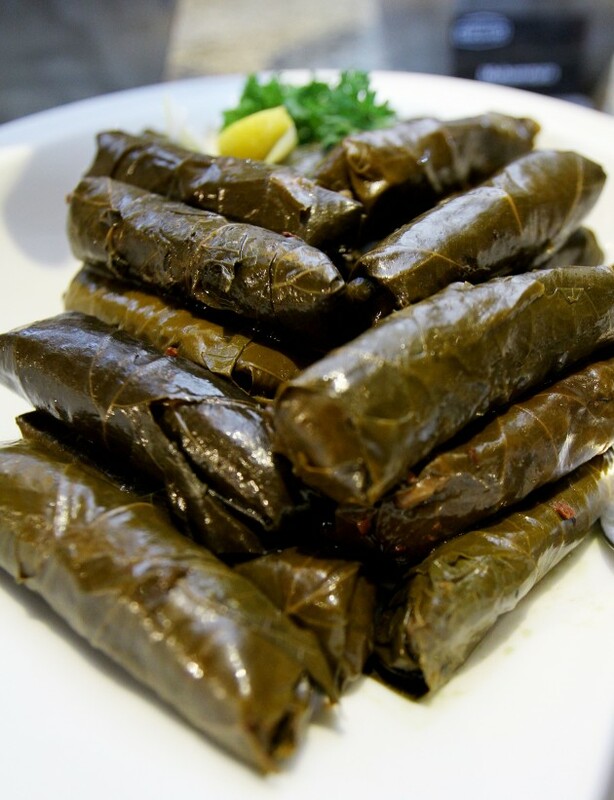 The rolls of vine leaves are stuffed with Egyptian rice, tomato, parsley and onion, which are then cooked with lemon juice and olive oil. Meanwhile, the mujaddara is a cooked lentil dish with fragrant rice, caramelised onion and olive oil. At a recent media preview, we tried the Arabic Menu Day 3, from the five day rotating menu. Continuing to tantalise the tastebuds of patrons, the main course offers a flavourful choice of rice, lamb or shrimp. What stood out among these delights was the lamb. There are several lamb dishes available, which are flavourful and not overwhelming. The Vegetable Tagine is a slow-cooked lamb dish with olives and saffron, while lamb cooked in yoghurt sauce, shallots, pine seeds and coriander results in the Lamb Umo. The Mix Grill of shish taouk, lamb kebab and kebab hallabi are also available to complete your dining experience. The dinner buffet, from 6.30pm to 10pm, is priced at RM108++ per person and children between six to 12 years old dine at half price.